You are here: Home / Healthy Eating / Avocado–Slice One Today! Avocado. You probably know how good it is for you. There’s a whole research paper written about just how good avocados are for pre-conception, pregnancy and breastfeeding here. You’ll find my Eat for Fertility post here. And recently researchers in the UK found that women undergoing IVF who ate the most monounsaturated fat–found in avocados, olive oil, nuts and seeds, were more than three times more likely to have a child after IVF than women who ate the least amount of monounsaturated fats. Besides being a great source of monounsaturated fat, avocado is also a good source of fiber, potassium and antioxidants. I love it in guacamole and I also slice it on to sandwiches and salads. (By the way, there is a new, avocado based, mayonnaise-type spread called Go Avo. I met the founders at a recent conference and you can find out about Go Avo here. And just in case you need inspiration, here’s a roundup of avocado recipes by my RD colleagues. My favorite meal. Adding some avo to it is definitely a great way to start the day! 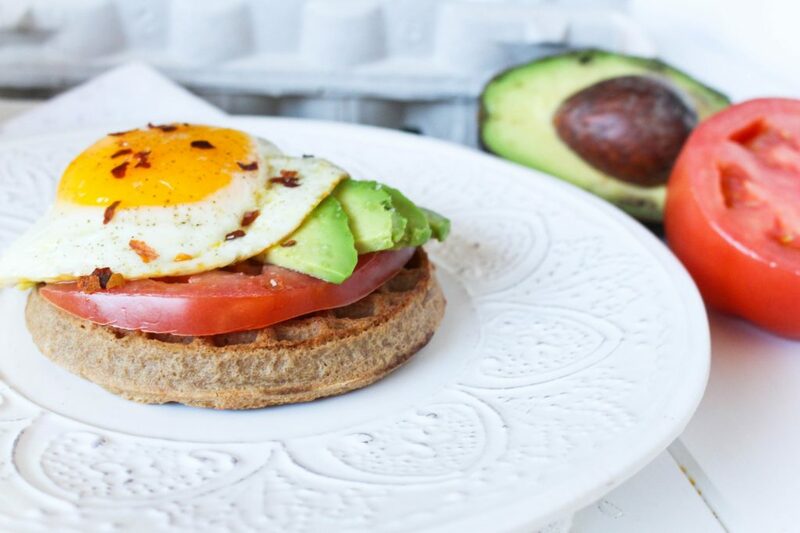 This first recipe is from Julie at RD Delicious Kitchen combines the triad of my favorite breakfast foods–eggs, whole grain waffles and of course avocado. Next is a vegetarian high protein toast from Abbey’s Kitchen. It would work for breakfast, lunch, light dinner or snack. Simple but healthy and of course, pretty too! The secret high protein ingredient? Cannellini beans. Not into eggs? 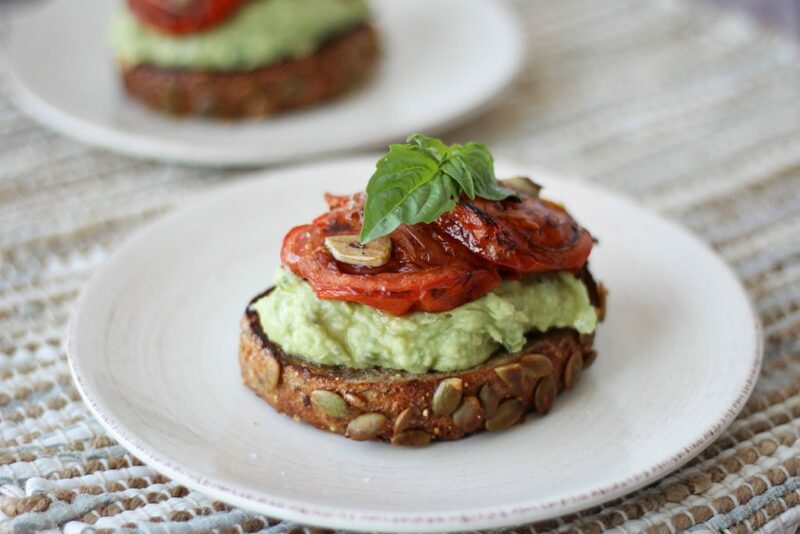 Try this veggielicious high protein toast from Abbey’s Kitchen. It’s the time of year you might reach for soup, so why not make this one from Triad to Wellness that’s virtually brimming with healthy antioxidant goodness! 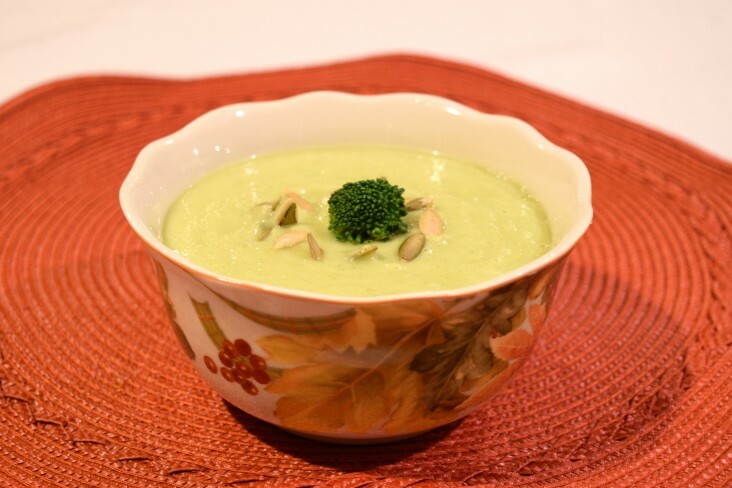 Creamy Broccoli and Avocado Soup from Triad to Wellness! Holy guacamole! Try this simple recipe from Elissa at Elissa Nutrition. 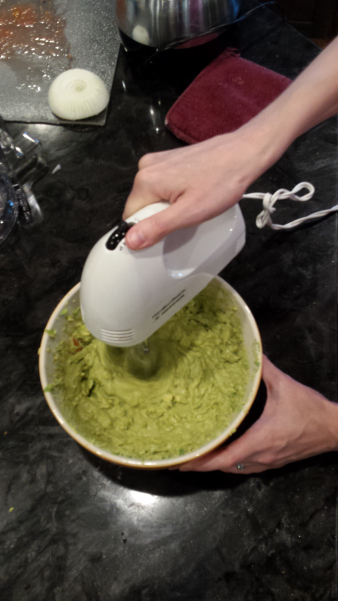 Learn to make basic guacamole here! 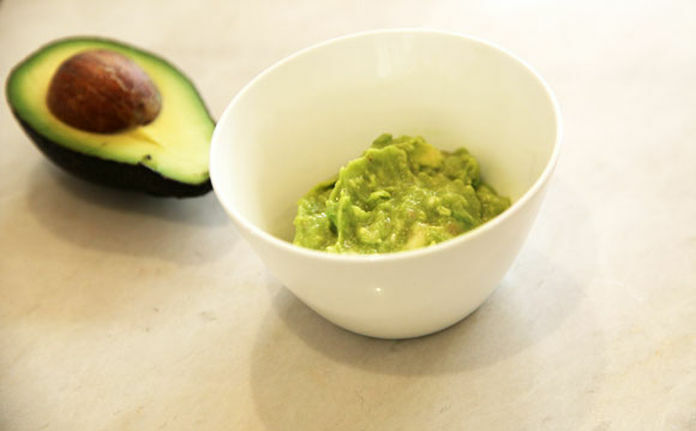 When you want a REALLY simple avocado dip, try this one with just 4 ingredients from Kim at Nutrition Pro Consulting. The post also has tips for how to choose the perfect avocado. This dip has just 4 ingredients! Blood Orange Crostini–the name sounds exotic and though elegant on the plate, it’s simple to prepare! It’s from Kaleigh at The Lively Table. 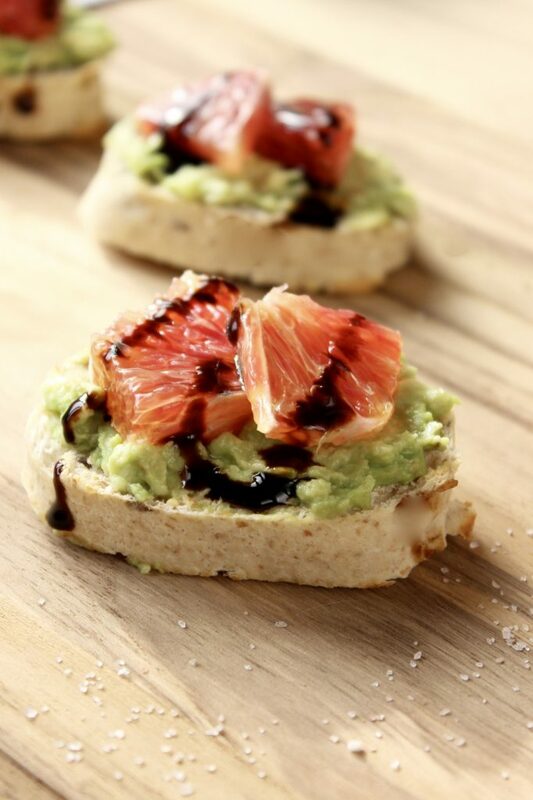 Blood Orange Avocado Crostini? Yes please! 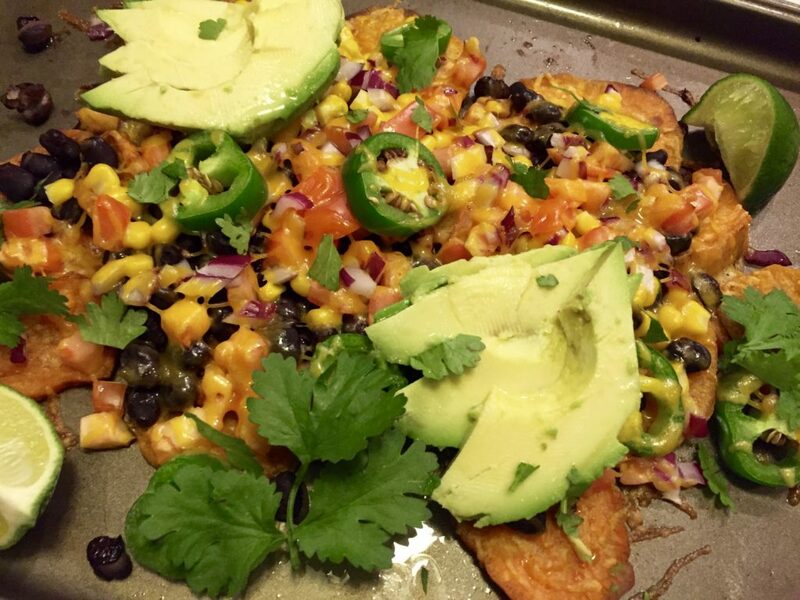 Just the name makes you want to dig into this–Sweet Potato Nachos from Marissa at NewKidOnTheGuac.com. With sweet potatoes as a base, you get way more fiber, potassium, vitamin C and vitamin A than regular tortilla chips! Love nachos but need a healthier twist? Try these! Pasta salad is perfect when you have some leftover pasta or veggies to use up and it’s perfect for brown bag lunch–just add protein! 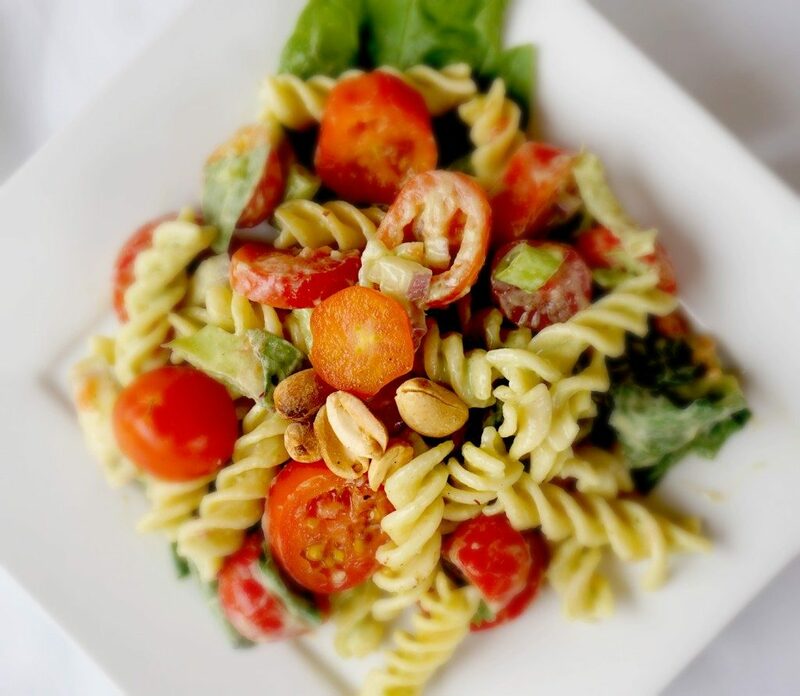 This pasta salad recipe from Liz at Shaw Simple Swaps uses avocado as a base for the dressing. Jalapeno powder gives it just the kick it needs with some fresh cilantro and basil to add more herbal goodness. Avocado Pesto Pasta salad–a versatile leftover meal! Oh my yum! Stuffed avocado! 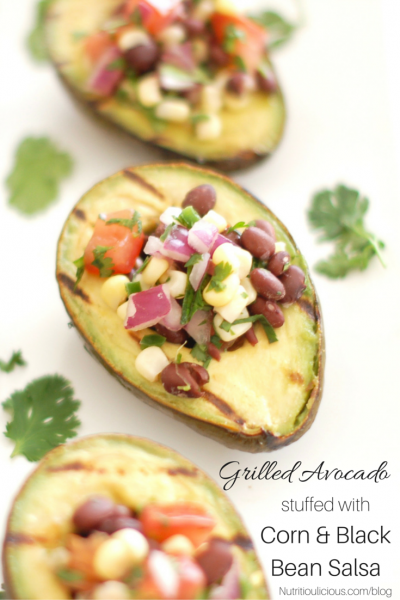 Jessica, recipe creator extraordinaire over at Nutritioulicious visits Eat Right Mama again with this recipe for Grilled Avocado Stuffed with Black Bean Salsa. I’ve had avocado stuffed with shrimp and crab, so why didn’t I think of this?! All I can say is yum. A great way to yum up your tunafish! 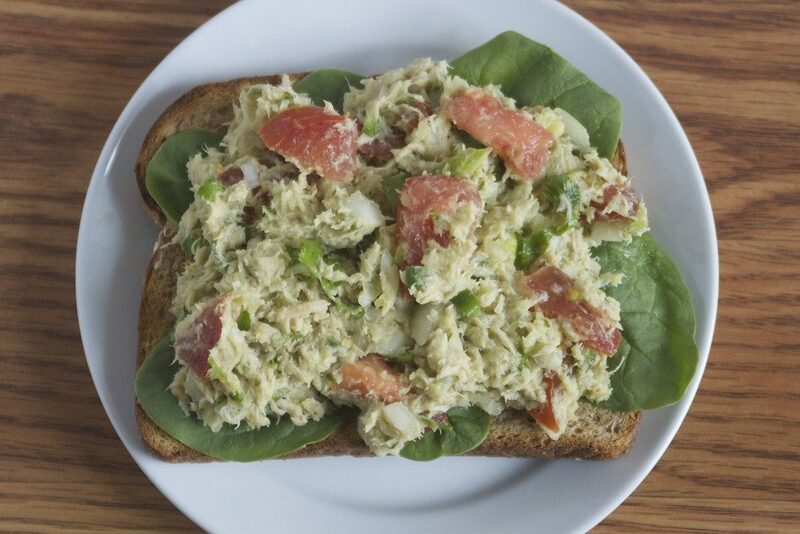 Lauren at Bite of Health Nutrition has created this Tuna Guacamole recipe. It’s got 22 grams of protein and 210 calories per serving and it only takes minutes to make. Sounds good! You see Broccoli Slaw at your grocery store, but what to do with it? Check out this recipe from Amy at AmydGorin.com. Other super ingredients that are rich in omega-3s are flax and hemp seeds. 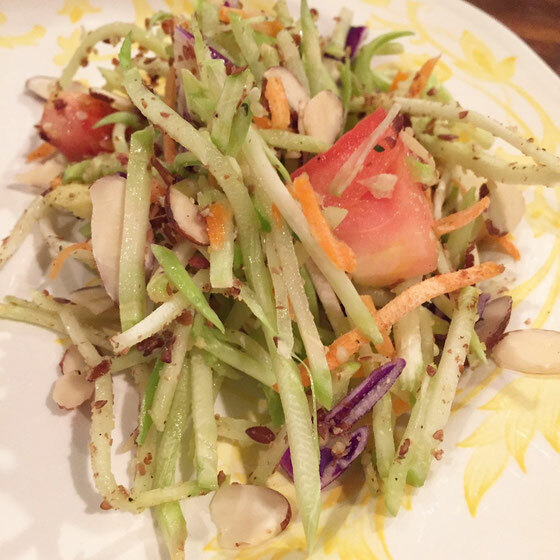 Wondering what to do with broccoli slaw? Here’s a recipe from Amy Gorin. Don’t worry, I didn’t forget about dessert. It’s chocolate, it’s creamy and it’s got crunch. A great combo from Amber at Homemade Nutrition. The crunch is from walnuts, a recommended food for fertility. 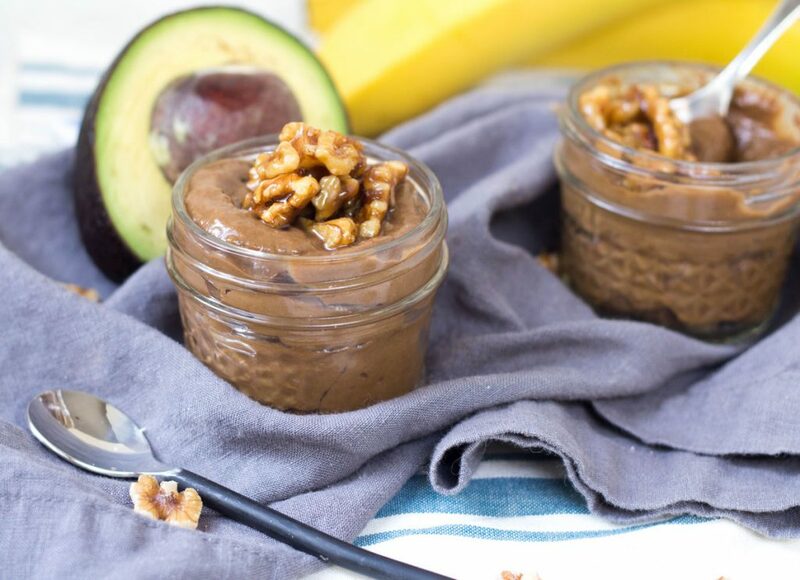 Serve up this healthy superfood packed pudding! What a wonderful round up Bridget!! I am so excited to learn about your passion for fertility too! Sara Haas and I are actually working on a cookbook for fertility right now, set to be published in May 2017! Can’t wait to share it with our RDN community and the world! Have a fabulous day and thank you again for bringing light to such an important topic! Congrats! I look forward to your new book–definitely needed!